On a chilly November morning ten of our bravest (or craziest…) employees took on the elements as they tackled the Winter Wolf Run; one of the toughest obstacle course races Britain has to offer. The Wolf Run, voted the best OCR in the UK, and is a unique combination of three kinds of off-road running: mud runs, trail runs and obstacles. The challenge covers all terrain, including open ground, woodland, lakes and thick mud! 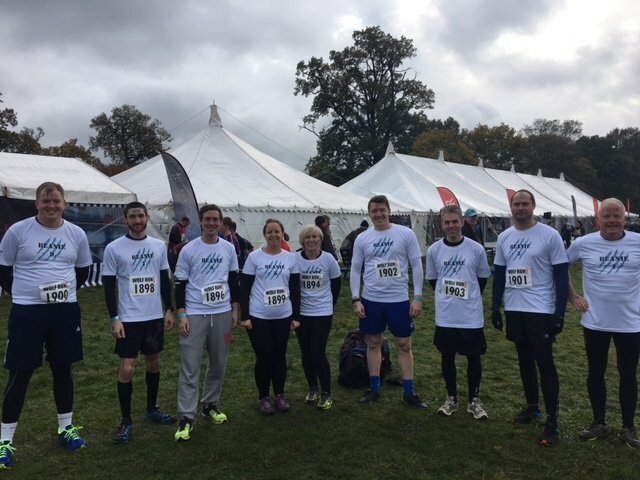 Running as a pack, our team of 10 took part in the 10k Wolf run. They powered through a series of tough obstacles designed to test their mental and physical strength, skill and stamina. Working as a team they waded through thick mud and swam through piercing ice-cold water! Huge congratulations to everyone who took part, we know it wasn’t easy! Lisa Malone, Partner at our Daventry branch, has admitted she was out of her comfort zone but well and truly embraced the challenge of completing most of the obstacles. Sarah Kite from our Northampton branch also powered through regardless of a recent injury and Ollie from the London office travelled up on the day and did extremely well considering he thought he was taking part in a golf weekend! But some were more at home on the course than others as our IT manager Ben Burnett is a world ranked (198th!) OCR runner. He was a great inspiration to the team and encouraged everyone throughout the course whilst enjoying a more leisurely pace than usual! The team completed the course in a very respectable 2 hours 40 minutes with all members crossing the finishing line! At Cottons we know that business can be as much an obstacle course as any Wolf Run. We also appreciate the importance of teamwork and support and that’s why we’re here for our clients throughout their own adventures. If you’re on a business journey, no matter if you’re climbing a hill or enjoying a flat, then talk to us about how we can run with you and make it just that little bit simpler. We’re currently assisting clients with everything from going paperless to gaining investment. Our London branch celebrates its first year!